Genesis Kitchens & Design is a full service design centre specializing in kitchen and bathroom design. We are a member of the National Kitchen & Bath Association (NKBA), and an authorized dealer of multiple leading cabinetry lines including Nickels Cabinets, Merit Kitchens, Kitchen Craft Cabinets as well as select custom cabinet manufactures. Our access to multiple lines gives us the freedom to design within every budget, style and taste. From design conception to install of cabinets, countertops and backsplash, we help you every step of the way. Whether you are looking for that cosmopolitan flair or a taste of the classics, we have it covered. RJR Construction Group has concentrated its efforts on renovations and custom homes over the last 35+ years. RJR was incorporated in 1978 primarily to oversee and manage large commercial projects. In 1979, RJR was contracted to do its first major renovation project, a challenging and rewarding multiple conversion in Kitsilano. RJR is a member of the Greater Vancouver and the Canadian Home Builders’ Association and the North Vancouver Chamber of Commerce. They have been the recipients of both silver and gold provincial “Georgie” awards, national “Sam” awards and Heritage awards. RJR is qualified as a “Certified Renovation” (CR) company with a number of employees qualified as “Registered Renovation Professionals” (RRP’s). RJR offers a complete design build service and has staff on hand to work with clients from concept to completion. RJR is licensed and has worked through the plan checking and zoning systems in nine local municipalities. RJR is truly a “one stop shop” construction business. Troico is an award winning full-service design, renovation and custom millwork company based in Vancouver, Canada. We proudly manufacture all our product locally, at our facility in Coquitlam, Canada. 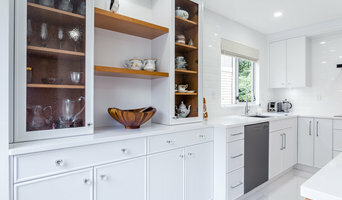 We have 5 levels of custom cabinetry products, in order to offer clients Troico has been raising the Vancouver home renovation and design bar through innovative and beautiful concepts, and superior project management. We give home renovation and commercial construction clients comfort in knowing that their project will be treated with the utmost care and precision to ensure all our deliverables are met, on time and on budget. Track the progress of your project with our online project management tool. We have a great team of in-house interior designers that are able to help you turn your vision into a design plan. We also provide superior quality custom millwork that is built on-site at the rear of our showroom in Coquitlam. Our team of expert craftsmen work diligently to ensure the final product is carefully crafted to suit your space. Troico was formed by bringing together the three pillars of the renovation and development industry - design, manufacturing and building - with the mission of offering customers the highest quality products, superior project management services and beautiful, custom millwork. Feel free to reach out to us, we would love to hear from you! The only renovation contractor in the Vancouver area with the REBOOT Strategic Renovation Plan™, who starts the planning process with a complete home evaluation (inspection). We help detail oriented homeowners to transform their current house into their dream home, making it more comfortable, more functional, more durable and more beautiful! David Martin founded Renovation Science in 2015 to be the most respected renovation company for detail oriented homeowners in Vancouver Canada. Our mission is to develop the best system for redefining your dream home. Our REBOOT Strategic Renovation Plan helps to design and implement your renovations for ultimate satisfaction. We're determined to transform your home to be more comfortable, functional, and beautiful with every detail! We seek to eliminate the apprehension and anxiety normally associated with finding and selecting a quality home renovation general contractor that listens to your needs...We manage your project with you in mind. Our years in the restoration sector and while being on peoples homes every day made it possible for us build a team of dedicated trade members that are part of our Alliance Group that understand site protection and the need to always respect your home. 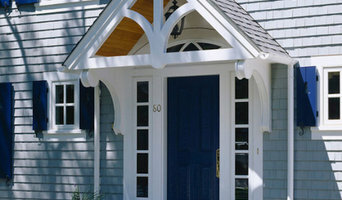 We are best suited to understand your renovation needs. All our professional members have submitted profiles and have many years in business with our group. We have a team of dedicated members. We align ourselves with trade/business associations that demands reliability and quality services to home owners. We offer no excuses, just great results! Our internal Hub systems will provide you with key information about your renovation projects making it possible for you to view our progresses on a daily basis, with photos- you can offer comments daily to our members-ask questions while away on a trip directly into our HUB system viewed by all involved with your renovation project- Information shared with all our members. Once you have made your choice to utilize Paint-Etc Home Renovation Services Inc.for your renovation project, our trade service alliance group will align itself to complete your project promptly, on budget and on schedule. Choosing a general contractor partner can be daunting, when you choose Paint-Etc and its Trade Alliance group members as your general contractor of choice for your home project, you will experience care and a peace of mind. Our ability to be flexible to your changing needs as we move forward into your project, our sense of urgency, our technical expertise and attention to details has made our member partners successful for over numerous years. We are ready when you are, give us a call. Beyond Beige Interior Design is an award winning, Vancouver based firm. Reisa Pollard and her team specialize in residential new-builds, renovations, and hospitality design. In her over 12 years’ experience she has built a strong reputation for creating innovative, one of a kind spaces for her clients. Her diverse body of work is not defined by her own personal choices, as she adapts to each client to create something unique to their home or business. We want you to Feel Good Inside. Houstone Enterprises Ltd. was founded in 2009 and is a leading company in stone creations in Vancouver, BC. 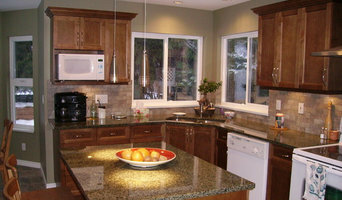 We have since expanded our services to be a full Kitchen and Bath Specialist. Small Vanity Top $300-$750. Small Kitchen Top $800- $2000. Slab Vanity $1000-$2500. Slab Kitchen $1800 -$5000. Custom Kitchen with Waterfalls $3,000 -$15,000. Tile Backsplash $600-$3000. Estimates based on experience. Actual costs may vary depending on the scope of your project. Our products are diligently selected and crafted for an authentic and perennial finish in an extensive range of styles and surfaces. The vast amount of styles available are perfectly suited for both traditional and contemporary home designs. As members of the GVHBA and the CHBA, we pride ourselves in providing top quality work for every single of our clients. We will work with you on all your requests and requirements to achieve the Kitchen and Bath of your dreams. Why Houstone? We pride ourselves in providing customers with excellent service and product quality. We treat every installation with the utmost care and expertise, as if we were installing in our own home. Our business is client-oriented and we guarantee that you will be satisfied with our service. Everyone on our team is extremely knowledgeable on all things Kitchen and Bath. We are highly detail-oriented and have been trained on knowing what to look out for in order to provide you with a smooth project from start to finish. 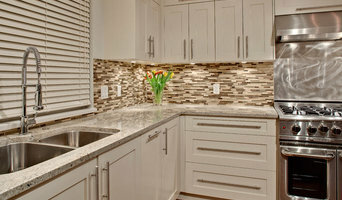 We service Vancouver and the Lower Mainland and our feature products include Quartz, Marble, Granite, Silestone Quartz, Caesarstone Quartz, Viatera Quartz, Zodiaq Quartz and much more. We’re General Contractors that specialize in custom homes, upscale renovations and niche commercial projects. For us, construction is more than just a craft, but a passion. We have assembled a team of dedicated professionals that’s committed to excellence in design and construction. We pride ourselves on high-quality work, attention to detail, and meticulous planning. Our experienced and ticketed trade base is complemented by our in-house Red Seal Journeyman Carpenters. This ensures that each project receives the specialized skills required of it, while at the same time adhering to our rigorous methodology. At Rechsteiner Construction Ltd., we only take on a select number of projects at any given time to ensure that our “hands on” construction management approach always remains intact. This ensures that each and every one of our projects is given the same level of care, diligence and transparency to deliver a final product that not only achieves our high standards, but also exceeds our client’s expectations. When we build, it's all about the details! At Dimora Interiors we understand how important it is to find the right company for your next residential or commercial building project. One of the most crucial components for a stress free remodel is single source accountability. This takes the leg work out for you and allows our experienced team to work seamlessly together in achieving the desired result, on schedule, correctly the first time around. With years of experience in interior design and construction we can help you achieve your dream home. We work with all the different styles and provide services for consultation, design, material selection, installation and furniture/decoration. Our goal is to provide you a sophisticated design, unpretentious style, and the best quality of work within your budget and timeline. Our mission is to create a functional and beautiful space. We have a classic, timeless and gracious approach to interior design and space planning which makes our company unique. Our relationship with our clients is based on honesty, integrity and always a positive attitude. We welcome you to call or email us about your next remodel. We look forward to hearing from you!